Lessons from the Land: What Did You Enhance Today? The people who work the land for agricultural production have a tremendous influence. Not only do we see this influence through the products that they raise and we consume, but the way they manage their operation has effects on a host of biological systems. A recent workshop brought two experienced speakers to address this latter point, combining practical advice with sensible logic that consumers and producers are wise to understand. Held in Three Forks on January 16, the event featured Brendan Rockey, a potato farmer from Colorado and Steve Kenyon, a rancher from Alberta, Canada. The Soil and Water Conservation Districts of Montana and the Natural Resource Conservation Service brought the speakers to our area, which drew a crowd from the surrounding 4 counties. Rockey and Kenyon are lifelong agricultural producers, and both are experienced at telling their approaches and philosophies with a humble air. Backed up with photos, science, and a whole lot of humor, they presented concepts in an engaging format. “I’m not here to tell you what to do,” explained Rockey, “I’m only here to tell you what I myself do”. The basis of their concepts were rooted in very similar foundations. They believe if you focus on encouraging the natural biological systems on a farm or ranch, you will see far reaching (and interconnected) benefits. They both took the time to illustrate what they have seen as challenges that can arise when controlling problems takes priority over tending to the natural systems, and how tending to the biology is a better approach. Their suggestion? Give the broader biological organisms a better place to survive, and the problems will be kept in check and the land will be more productive. “Rather than spending so much time trying to control the bad, spend more time supporting the good things that help your operation. Ask yourself regularly “What can I enhance today?””, inquires Kenyon. The fungus: They are the smallest organisms that pack the biggest benefits. Their thread-like networks in the soil extend the root capacity of plants by 1000 fold; allowing for better nutrient and water uptake, and also providing disease resistance. They even put out lassos that capture pathogenic worms which are then consumed. Fungi are the underground warriors that will work to keep your plants going and growing. Give them a stable home (strive for zero soil disturbance and stay away from fungicide) and they will repay the favor in kind. The bugs: They might make some people shudder, but the fact of the matter is that we need them a whole heck of a lot. In fact, for every 1 “bad bug” there are 1,700 other bugs that provide big benefits. Who are the rock stars of the bug world and what are their amazing skills? Bees- pollination for crops and native plants that feed wildlife and livestock. Lacewings- voracious predators whose larvae devour aphids and other crop damaging bugs. Nematodes- your soil’s best resident. They break down dead plants, aerate the soil structure, and improve water infiltration. Dung beetles- taking “dirty jobs” to a whole new level by decomposing manure and kick-starting the nutrient cycle to benefit plants. You can encourage the above-ground bugs by ensuring they have necessary habitat, and the below-ground residents really do best with low- or no- disturbance of the soil. The plants: Follow mother nature’s model and keep it diverse. Cover crops with a mix of grasses and forbs (both cool and warm season) will provide continuous growth and habitat for those beneficial insects. They also keep the soil cooler, reduce run off, and bring nutrients up through the soil column. What about those with grazing animals? Implement pasture rotations so that plants get a chance to recover from livestock and so organic matter content in the soil can build. Remember that legumes (members of the pea family) will provide nitrogen to your soil, at a cost far less than synthetic fertilizer. Finally, remember that plants provide a place for all kinds of local wildlife too. Choose your plants carefully, and get to know what grows native in your area and what values they provide. 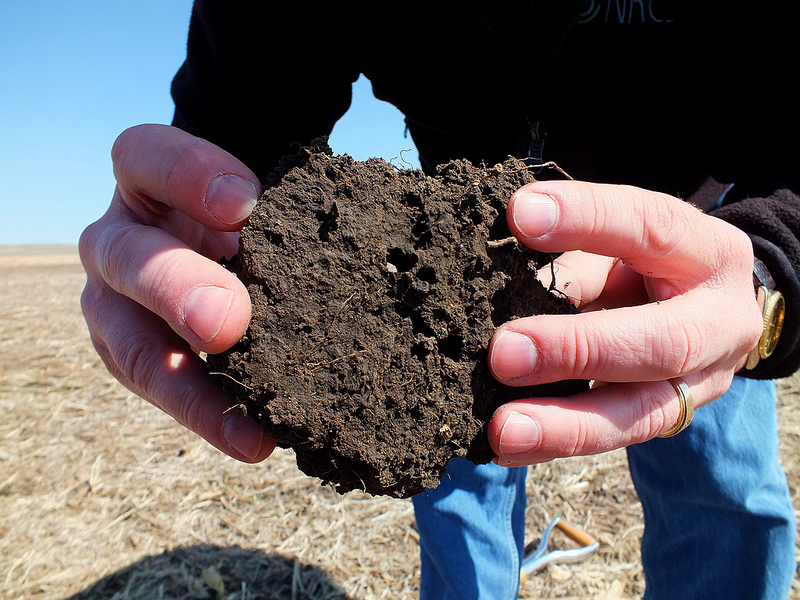 The soil: It is the greatest living thing that should be on the minds of every single farmer and rancher. As Steve Kenyon said, “As agricultural producers, it is our job to build the soil”. By adopting practices that focus this priority, you will also see the benefits provided by the previous items on this list. They are all interconnected in the tangled and impressive web of biology, with soil as the center star. Especially in our climate, it makes sense (…and cents) to prioritize the health of your soil. Get familiar with the 5 best management practices: reduce tillage, keep soil covered, maintain living roots, promote crop diversity, and manage grazing. It’s been said many times by those who have seen decades of change in the world of agriculture; what is old is now new again. Brendan Rockey agreed, as he described their use of his grandfather’s old seeder put to work planting their pollinator strip, “There is nothing that I’m doing on our family farm that is new. It’s just basic practices that we have forgotten the value of”. Finally, the value also lies beyond the biology that you enhance today. It can appear in the bank balance (cost for operation at Rockey farm: $368/acre vs. conventional production: $780/acre). It can also appear in the mind; knowing that an operation aligns with Steve Kenyon’s mission, “Economic and environmental sustainability for generations”, so that life carries on in all of it’s beneficial forms. 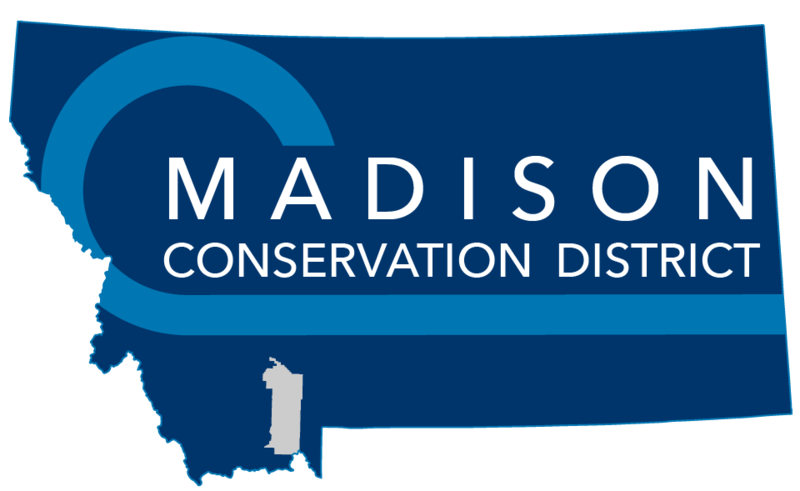 If you are interested in learning more about applying these approaches on your farm or ranch, or are interested in hearing about upcoming workshops in our area, contact the Madison Conservation District office 682-3181.